How did I speed up Sun Broadband? Are you experiencing slow internet connection? Do you think about giving up? A lot of work to be done, yet your productivity is being hampered by slow internet connection? Now, stay relaxed, I will share everything I knew about how to increase or boost your broadband internet speed, particularly, the Sun Broadband. 1. First, through Profile Configuration. By default, it has 5 profiles with respective dynamic settings. 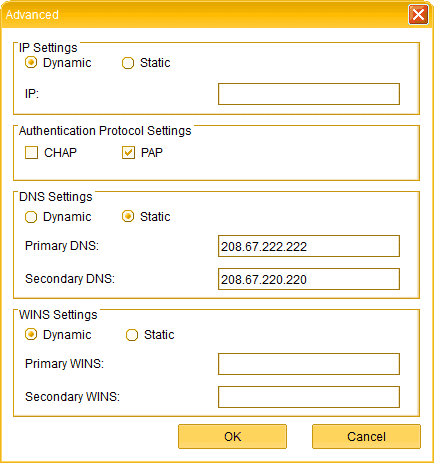 Dynamic IP’s (Internet Protocol) and dynamic DNS’s (Domain Name System). It means that every time we use it, it will always search for whatever available IP’s DNS’s. The reason that most of the time it cannot give us the best performance we wanted. To Boost Sun Broadband we need to add “new profile” and use a static DNS. The free one from Google. Static DNS help boost Sun Broadband because it will not seek for available DNS anymore since it’s already there. The remaining job it has to do, is to find only an IP address. It is less job, faster broadband. How to do it? Just follow the steps below. If you followed the instructions correctly, you should experience a slight improvements of your internet connection. How about the second method? 2. 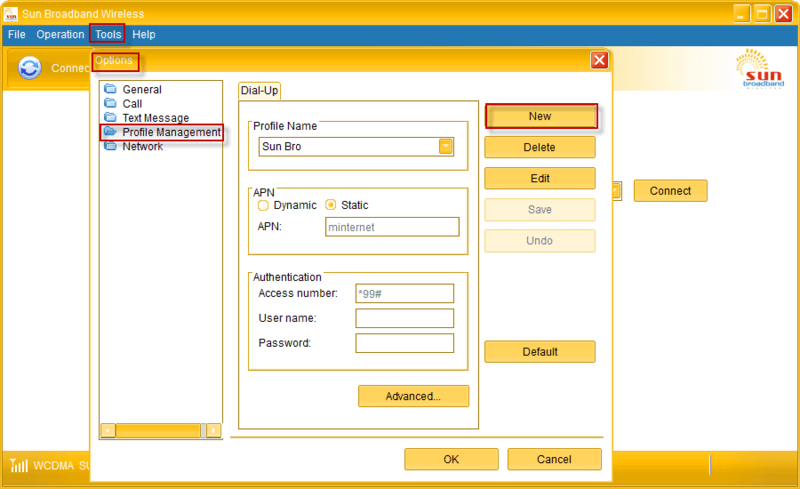 It is through RAS (Remote Access Service) modem and NDIS (Network Driver Interface Specification) options. 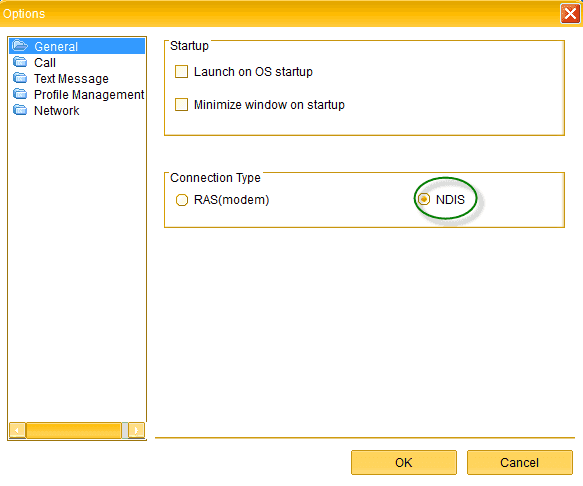 By default RAS modem is selected change it to NDIS. If you are connected to internet using RAS modem, the icon looks like you are connected via DSL. While NDIS resembles as if you are connected to a WIFI connection. In my research NDIS is more stable against RAS modem in terms of signal transmission. However, RAS modem has the edge in terms of networking capability. Therefore, NDIS is appropriate in BOOSTING SUN BROADBAND. A simple guide below will surely help you. There you have it, you just completed the two ways of boosting your broadband. I believe at this point you are now having a better online experience. If you are still having a trouble, proceed below. In this method, you need to input commands in command prompt as we optimize your MTU (Maximum Transmission Unit) and Autotuning. Hmm? Sounds difficult but it’s not. Everything will be provided by me. So let’s get started. 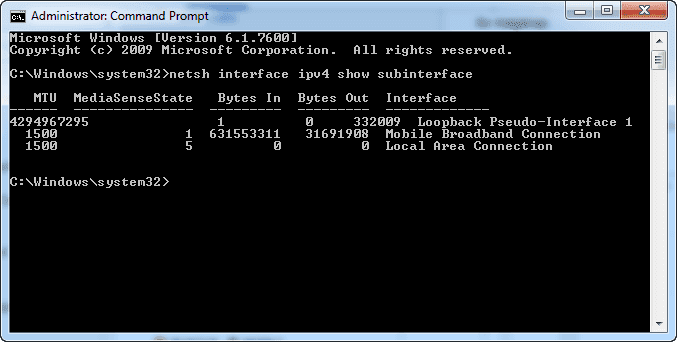 In “Windows Command Prompt Window” type “netsh interface ipv4 show subinterface” to show your “Broadband’s Network Connection and MTU value“. The default MTU is usually 1500, we will change it to 1453 to make it optimized. To do it type, “netsh interface ipv4 set subinterface “Your Network Connection” mtu=1453 store=persistent. 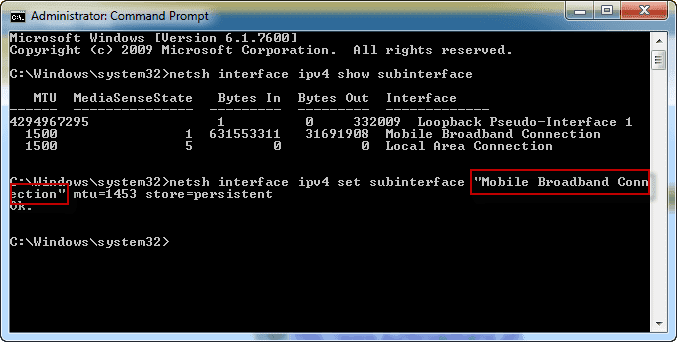 Note: My network connection is “Mobile Broadband Connection”, as you can see in the image below, yours may be different. Finished? The tutorials above will surely help improve your broadband’s internet connection. Personally, I followed everthing in this post with no issues. The first two method will help you boost your Sun Broadband. Then the ultimate tweak will add a slight increase in your internet connection plus it will stabilize the connection of your Sun Broadband. Do you have something to add? Anything that will help others regarding this topic? Feel free to comment below. Why I picked Sun Broadband against the leading brands? Sir. Meron po akong Sun Broadband. Tapos po lagi ko pong pinapaload. NONSTOP 100. Nung first 3weeks ang bilis at yung Signal Strength nya maganda. Pero ngayon po ang bagal nya na tapos yung Signal Strength po laging negative 54dBm. Ano po dapat kong gawin? Hi Mark, kindly contact or visit your nearest Sun Broadband office and tell them about the issue. Because that’s beyond the scope of this Boost Sun Broadband guide.